River CC have published minutes from the recent Nairn Events Committee planning meeting on their website. more information here. There was a craft fair held in the Community Centre on Saturday, pictures here. 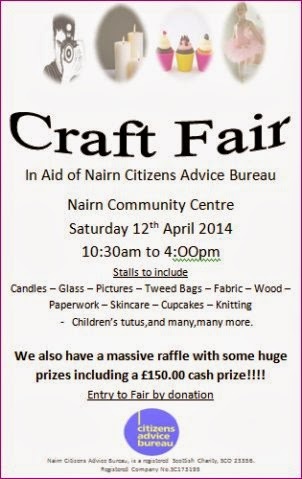 And another one will be held in the same venue on Saturday April the 12th to raise funds for the Nairn Citizens' Advice Bureau. There will also be a massive raffle in the run up to that event. 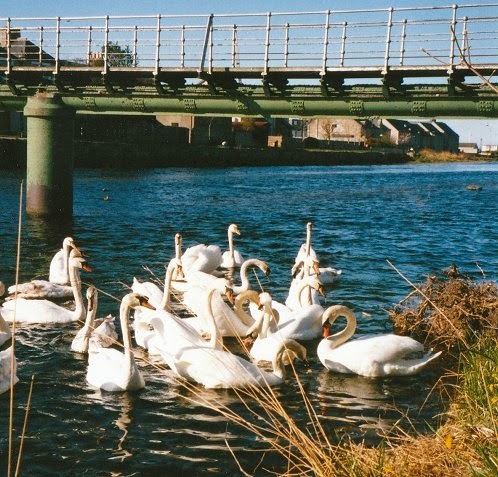 Finally, does anyone remember (was it about 12 years ago) when, around this time of year, a massive flock of nearly 50 swans arrived on the River Nairn? This was in the days when the resident couple still spent their nesting time out at Kingsteps so they were spared a very stressful event. More images here. I think it was April 2003 and I counted 52 swans. They had come along the coast and into the river on the high tide, lovely to see so many. There was another couple of years later on when slightly smaller flocks came in at the same time of year, it was around 30 and another of 24. The previous cob used to chase them out of the river since this was his territory and he used to fly in from Kingsteps every few days to check that no intruders had come in prior to his new family coming back in May. These flocks are mainly immature swans under 4 years old, and circulate along the coast and places like Loch Flemington. As they reach maturity they choose a mate from the flock and then leave to find a nesting territory of their own. Other young swans join the flock every year, so it is constantly rotating and changing in numbers according to the size of the families joining and leaving on reaching maturity. Our cygnets will join similar flocks and keep the cycle going.